Building: Main building, South repository built in 1935. 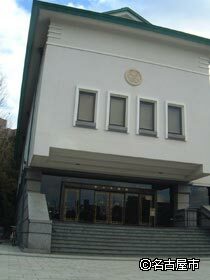 The Tokugawa Art Museum was founded in 1935 on a donation by Marquis Yoshichika Tokugawa. Filled with innumerable treasures passed down from generation to generation in the Tokugawa family, the foremost of the three main feudal clans of Japan that ruled over massive tracts of the country, the Tokugawa Art Museum's exhibitions of the "tools of the daimyo" for public viewing were like nothing that had ever been seen before. 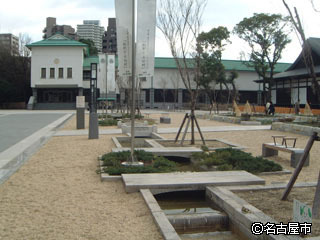 The more than 10,000 items stored at the museum are mainly the personal effects of the great Ieyasu Tokugawa, augmented by other objects used from generations of Tokugawa clan lords from Yoshinao I (Ieyasu痴 ninth son) onwards. All items are authentic effects of the Tokugawas, used and loved by the family. The museum boasts a fantastic number of official cultural assets. There are no less than nine national treasures, including the world-famous Tale of Genji picture scroll; fully 55 important cultural properties; and some 44 important artworks. Indeed, the Tokugawa Art Museum, the design of which is, incidentally, in the "imperial crown" style, boasts unparalleled variety of works, quality and state of preservation.